It’s a feeling that no woman wants, but many women know. You urgently run to the bathroom, sit down and feel the burn of a urinary tract infection (UTI). 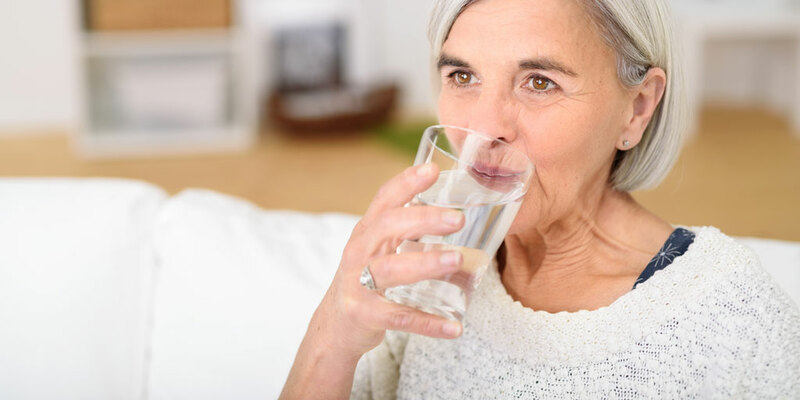 Step 1: Drink a big glass of water to dilute your urine and flush out bacteria. Step 2: Call your urogynecologist for an accurate diagnosis and the best course of treatment and read our blog about how to treat a UTI . UTIs are among the most common bacterial infections in the United States and are twice as common in women than in men. For older women, low estrogen, pelvic organ prolapse and other pelvic floor disorders can all contribute to a higher risk of getting a UTI. The pain and urgency of a UTI is most commonly caused by unfriendly bacteria entering and spreading in the urethra and bladder. Women are twice as likely to get a UTI because a woman’s urethra is much shorter than a man’s making it easier for bacteria to enter the urethra and progress to the bladder. UTIs should be treated quickly to prevent infection from spreading to the kidneys. However, these symptoms can indicate other conditions especially in older and post-menopausal women. A UTI can also be asymptomatic, or misidentified. Testing urine is the only sure way to diagnose and identify a UTI. How do I treat a UTI? Before diagnosing a UTI, your urogynecologist may do a physical examination and test your urine for signs of infection. A urine culture will identify the bacteria causing your infection, so you’ll get the right antibiotics and treatment. What are my UTI risk factors? These risks should be discussed with your urogynecologist. Once you’ve had a UTI, you never want another. Fortunately, there are some simple steps women can take to lower the risk and occurrence of UTIs. At the Coyle Institute, we see women with urinary and pelvic floor health issues, including incontinence and infections, every day. We know that these conditions can be uncomfortable, painful and disruptive to your life! Call for your consultation today to begin a journey toward pelvic floor health. If you currently have a UTI or have had recurring UTIs, call Coyle Institute as soon as possible.